Albany, NY - September 30, 2013 - Governor Andrew M. Cuomo today sent a letter to the U.S. Department of Homeland Security (DHS) and General Services Administration (GSA) calling for both agencies to submit to a consent order requiring them to present a comprehensive environmental cleanup plan for Plum Island in Suffolk County and giving the State final review of the Island’s conditions before it is put up for sale. In April 2010, the New York State Department of Environmental Conservation (DEC) notified the federal government that a number of serious environmental issues had to be addressed before the property could be sold or transferred. Plum Island is currently owned by the federal government and houses the Plum Island Animal Disease Center (PIADC). The federal government recently issued a Final Environmental Impact Statement and Record of Decision in order to proceed with the public sale of the island despite the fact that it had not addressed the State’s concerns, raising the potential for economic and environmental harm to nearby communities. In 2010, DEC identified a number of concerns related to landfills, buildings and other areas on the site and possible contamination of groundwater. Subsequent inspections of the site by DEC personnel revealed that PIADC has failed to both properly manage and dispose of its solid waste and adhere to appropriate quality control and testing procedures for laboratory waste. As a result, DHS recently executed a consent order which addresses a variety of problems associated with how waste has been handled on the site. The Governor’s letter calls on the federal government to conduct a full investigation and address any possible contamination issues prior to the island’s eventual sale in order to protect Long Islanders from potential health, environmental, and economic risks. 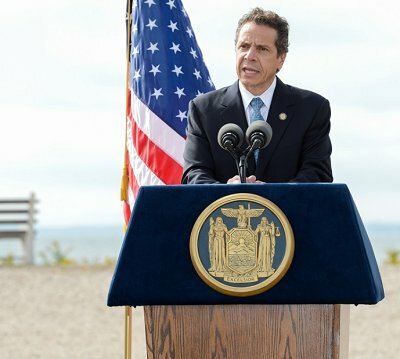 Subject: LongIsland.com - Your Name sent you Article details of "Governor Cuomo Calls on Federal Government to Present Full Environmental Cleanup Plan for Plum Island and Give State Final Review Before Any Sale"